The first American woman to win a gold medal in boxing in London 2012, Claressa Shields aims to qualify for the Rio Olympics to make history once again. 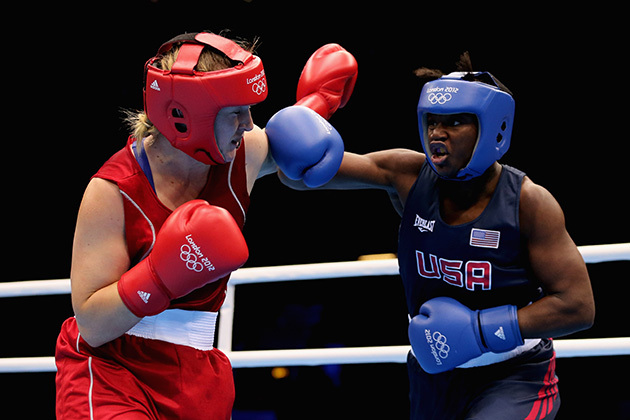 At the 2012 London Games, then-17-year-old Claressa Shields became the first American woman ever to win a gold medal in boxing. In 2015, the Flint, Mich., native made history again by becoming the first American women’s boxer to win a gold medal at the Pan American Games. 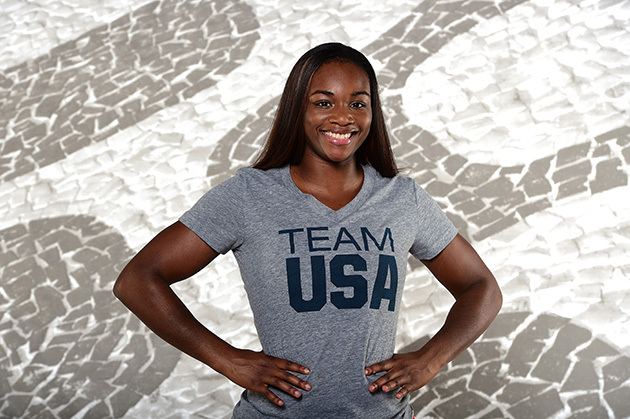 Now 20 years old, Shields is currently training at the United States Olympic Training Center in Colorado Springs, Co., with hopes of qualifying for the 2016 Olympic Games in Rio and yet another spot in the record books. SI.com sat down with Shields at the training facility to discuss her Olympic history, training regimen, role models and more. Stefanie Gordon: You won a gold medal at the Games four years ago in London. Although we’re now four years removed from that, do you sometimes just sit back and reflect on that? 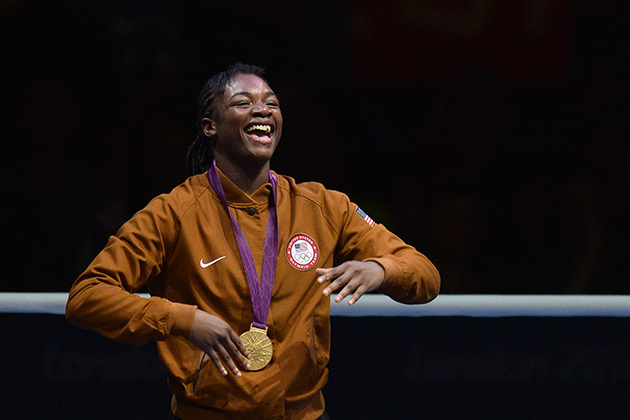 Claressa Shields: I look at my box of matches from the Olympics, I watch them every now and then to see how much I’ve changed, but I think it’s only been twice that I felt super emotional. But that wasn’t until maybe a year ago. I didn’t cry after winning the gold medal. SG: That’s when it finally hit you? ​SG: Were you able to finally step out and take a look at it? CS: I always looked at it. I don’t let myself think too deep about it because some people get caught up in the moment and they stay there, and I wanted to move past it because I was working on getting to this Olympics and now that we’re almost there, now I really don’t think about it now. SG: Did life change for you much as much as you thought it would after London? What was your welcome back like? CS: Well in my first three or four months back it was pretty hectic. I don’t think I slept. I had to go back to high school, I had interviews, I was flying to New York to Chicago, spending days in New York and missing school and it was pretty hectic and I was getting all types of phone calls all the time. If I go to sleep for an hour, I wake up with 50 missed phone calls, 200 text messages, people I didn’t know, people I did know, it was a lot. I really expected to get a lot of endorsements and stuff like that, which it didn’t happen. I only have one endorsement right now and that’s through Powerade and I have a sponsorship through the Universal Kidney Foundation. I was in a Super Bowl commercial for a car dealership. Things didn’t change as much as I wanted it to, but I’m in a way better position than I was. I’m financially well now, I mean of course, more money would be great (laughs) but I can make do with the money I do get and I’ve just been winning everything ever since [the London Games] and I believe that anybody who knows boxing knows that I have a 9.5 out of 10 chance of winning another Olympic gold medal so they know that that’s very possible. ​SG: No American boxer has ever won two gold medals. What would being the first American to do that mean to you? CS: It’d mean everything. I’m the first woman to win an Olympic gold medal, now to be the first American to ever win two? That’d be amazing. I’m always trying to break barriers and be the first to do everything and to be the first to do that would be awesome. Cuba always has boxers that go to the Olympics two or three times. I even think in Ireland they have fighters that go two to three times, but here in the U.S., anybody that wins an Olympic gold medal, they’re gone. There’s only one athlete that I know who stuck around for three times and that was Rau’shee Warren but he never medaled. He’s the only three-time Olympian that we have from the United States so to be a two-time Olympic gold medalist, that’d be great. Hopefully that’ll get me the respect that I deserve, that women’s boxing deserves that we don’t get. SG: How did you get your start in boxing? CS: I started boxing due to my dad. He told me a story about Muhammad Ali having a lot of kids but his daughter took after him and I thought that was my dad’s way of telling me that he wanted me to box but I don’t know, maybe it was just a story, Maybe I took it the wrong way (laughs). I asked my dad if he would sign me up for boxing maybe two or three days later and he said no and I was like "What do you mean no?" and my dad thought boxing was a male sport and that women shouldn’t be in it but he thinks 100% different now. SG: How old were you when you started? CS: I was 11 years old. ​SG: Did you ever play any other sports before that? CS: I played basketball and ran track throughout a lot of my elementary school years. I probably ran track like third grade and I played basketball fifth and then I started boxing, and when I started boxing I always still played basketball, still ran track and cross country. I played volleyball in seventh grade. I just liked to stay busy and to learn new stuff all the time when I was in school, and I even played baseball for a year but I missed every game because I had practice. I had boxing practice from seven to nine and I had baseball games from six to eight so I was like "I can’t play an hour of the game and then leave" so I never played a baseball game. I always went to practice and I know how to hit and make the ball go where it’s supposed to go. If you need me to hit a home run, I know how. SG: Do you think being a multi-sport athlete has helped in you in your discipline with boxing? CS: I wouldn’t say it helped with my discipline but it did help me with boxing. Boxing, and everything else that I’ve ever done has been my choice. The discipline for boxing is like no other. I could eat as much as I wanted to when I ran track and played basketball and stayed up as late as I wanted to and do whatever I wanted. But boxing, it’s different. You have to go to bed at a certain time, eat certain foods, there’s just certain things you have to do when you’re boxing, you know, like dry out the night before a fight or dry out two nights before a fight if you’re super heavy overweight or shadowbox in a steam room with a bag on like torture stuff (laughs). Doing extracurricular stuff like running track and playing basketball always helped me being in shape. I always trained for a certain amount of time at the gym but still outside the gym, I still needed that extra "You got to run your miles, get your roll work in." I always got that in during basketball and track. ​SG: What is a typical training day like for you? What’s your training and diet regimen like? CS: Well my diet, I can eat what I want cause I’m always under weight now. I try to drink six to eight glasses of water a day, 48 ounces of water, which is supposed to be 64 but I do 48 because I can never hit 64 ounces but I try to drink six glasses. I always eat a big breakfast. Anybody here can tell you I eat maybe 10 egg whites and I take all the yolks out of them, get rid of them, the yolks are nasty. I eat a few pieces of meat and put hot sauce on my egg whites and after that, after first training sometimes I don’t eat, sometimes I do, but a lot of times when I eat after that it’s like spaghetti or something just to get my energy back to me. I eat a lot of meat too. And usually I don’t eat after eight o’clock, I’m just never hungry around that time but it makes you put on weight so I don’t eat after eight. But after training, I eat like very small plates because if I go to sleep hungry I wake up like I’m starving so I have to eat just a little bit and then I can go lay down. SG: Do you have a training schedule? What’s your training schedule like, especially leading up to competition or even on a regular day? SG: Now do you switch between the heavy bag and the speed bag? CS: They actually took the speed bag down. Now we just have a heavy bag, but when a speed bag was there, I did hit the speed bag a lot. At first, I was kind of hitting it bad, kind of gets your arms really tired and it feels heavy so holding them up to hit the speed bag, it actually helps you work with your timing and really helps you keep your hands up when you get tired in fights so I always did six rounds on the bag and three rounds on the speed bag. ​SG: Tell us something non-sports related about you that people may not know. CS: One of my role models is Serena Williams. And also, I’m really friendly. I respond to my Facebook messenger, my inbox, I respond on my Twitter, I respond on my Instagram. Except for guys who are trying to flirt with me and stuff, but if you ask me about boxing I’ll always respond and any of my fans, if you want to get in contact with me. I’ve always wrote back and always gave advice, especially when fighters write me about them being scared for their first match or something. It cracks me up but some people feel like it’s wrong to have that nervous feeling. It’s nothing wrong with it but people take it the wrong way, that’s just how I put it. A guy wrote me and said his stomach gets tight before he gets ready to fight and I told him ‘My stomach does the same thing,’ which it does. I just drink water and it’s that feeling that lets me know I have a fight coming, I have to get in the ring in about 10 minutes, take this fight serious, be on your A game, and that’s what that feeling reminds me of. It doesn’t make me get scared or nervous but it is a very weird feeling that I get though but I had to explain it to him, you’re not scared. SG: Have you ever met Serena? CS: No, I met Venus. I saw Serena at the Olympic Village in 2012 but everybody would like trying to crowd her and she was just walking like she didn’t like being bothered, so I knew I could’ve barged through everybody and gotten to her quicker but I was like, nah. Oh yeah of course, Serena’s awesome. I follow her on Snapchat. SG: Say there’s a little girl out there, eight, 10-years-old and she sees you in the ring and she’s says, "That’s what I want to do" and someone tells her, "Oh, come on. Girls don’t box," even though there’s you and there’s Laila Ali and there’s all these amazing female boxers. What would you say to a little girl that is being told she can’t do it because she’s a girl? ​CS: I’d tell her that boxing is an equal sport. It’s not like a street fight or something where you can go against a male or you can go against someone bigger than you, a boxing match is kind of equal. You’re going against another woman who weighs the same as you. She might be a little bit taller or a little bit shorter but you’re the same weight and around the same age, you know, and it’s fair, and if men can do it, woman can do it. It’s like an equal rights thing, you know what I mean? And if you want to get in there and box, get in there and do it. I always just tell the girls, keep your chin down and you might cry the first time you get in there and spar. You might cry the second and third time, but a woman really has to get used to getting hit in the face, because that’s not normal. I always tell anybody who wants to box or who does box, has a little bit of crazy in them because you get in the ring knowing that you’re going to hit somebody and that this person is possibly going to hit you too in the face, like, I don’t even think about it, it’s so crazy. I cannot believe I get in the ring and do that. I get in there and beat up girls, it’s amazing to me and I can get in there and beat up guys too. But it’s just the fact that I’m getting in there and I get with shots all the time and it’s just the fact that it’s wow, you know you do this every day, you train for this, you train to be the best at fighting someone (laughs), it’s funny to me. SG: Hope Solo voiced her concerns over the presence of the Zika Virus in Brazil. Being a female athlete possibly going there this summer, do you have any worries about the virus? CS: Well you know, I actually read up on it and I’m just going to wear long sleeves. From what I read, it really seems like it affects women that are possibly pregnant and I know I won’t be pregnant of course. I read that it gives you the flu symptoms for two or three days and you would hate to get that, coming up towards your competition and you worked all these years to make it to the Olympics and to get sick, like no. But I’m just going to wear long sleeves and I know they’re going to make some adjustments to the buildings and stuff like that and maybe have an indoor track. No, I’m not really worried about it. I plan on having kids but even with that, I’m just going to wear long sleeves. And they got the spray.